The first mobile smartphone with iris-scanning security technology is about to offer an entirely new security experience for online users, allowing its owner to unlock the phone and authorize payments with a mere glance. The recently presented Arrows NX F-04G developed by Fujistu is expected to hit the market in late May and will be the first gadget that will offer users a built-in iris pattern scanning feature. 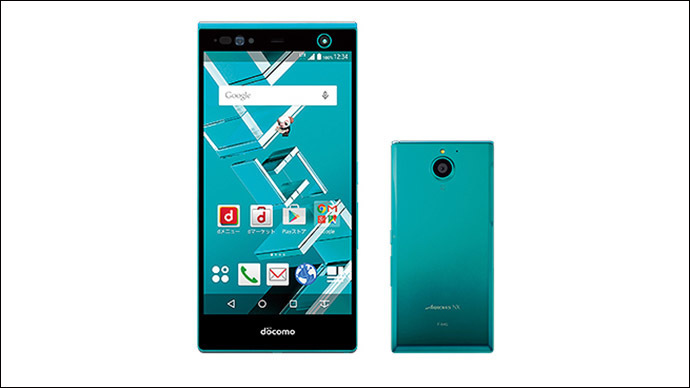 It will be exclusively distributed by the local mobile provider NTT DoCoMo. The iris is a thin, circular structure in the eye, responsible for controlling the diameter and size of the pupil. Its unique pattern will correspond with the iris scanner on the new phone for authentication of devices. To enable the use of the new security feature, the user of the phone must first save its iris pattern in the phone by staring at animated circles on the screen. The device recognizes the pattern by using an infrared camera and infrared LED. Fujistu presented the prototype of the iris scanner that unlocks a phone at the Mobile World Congress in March. It consisted of thin lightweight hardware that was grafted onto a regular smartphone. The company claimed that the error rate of the prototype was about one in 100,000. The authentication technology set by the FIDO (Fast IDentity Online) Alliance is supported by companies such as Microsoft, Google and PayPal. The need to remember passwords may be consigned to the dustbin of history as the iris-scanning surpasses even the latest fingerprint security technology available on iPhone and some Android models. The new technology that takes security to a new level is packed in device featuring 3 GB RAM, 32GB of storage and 5.2-inch screen loaded with 2560 × 1440 QHD resolution and a 21MP main camera. A common objection to using fingerprint security for online payments was that any criminal could steal a print or even lop off one’s thumb and go on a spending spree. Now they will need your eyeball to do it. Or as little as a photo of your eye. “People are wary of the fingerprint. They’re wary of the eyeball scan,” David Kane, CEO of global security company Ethical Intruder, told Government Technology, warning against relying solely on biometrics. A German computer hacker who recently demonstrated how easy it is to foil biometric fingerprint security by using nothing but commercial software and a couple of photos of one’s hand, has already did the same with iris scanning technology. “We have managed to fool a commercial system with a print out down to an iris diameter of 75 pixels,” Jan “Starbug Krissler told Forbes in March, adding he needed nothing more than a print out in his iris recognition hack.